Is there a program for adults? Davis programs are highly individualized and are suitable for adults of all ages. In fact, the Davis methods were originally developed through clinical research with adult volunteers. It was only after the methods had been thoroughly tested with adults that Ron Davis began working with children. Because the Davis program is always given in a private, one-on-one setting, it is highly individualized and the Facilitator will tailor the pace of the program and particular tools used to the needs of the client. Because of their high level of maturity and motivation, adults often experience the most rapid and enduring gains from a Davis program. There is no upper age limit: Davis facilitators have even worked successfully with men and women over age 90. 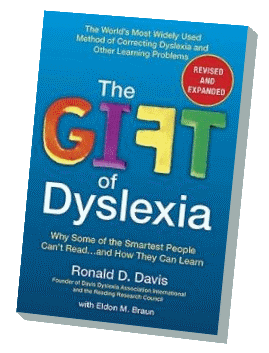 Do Davis Facilitators diagnose dyslexia, ADHD or other learning differences? No. Davis Program Facilitators are trained in providing effective learning interventions, not in diagnosing specific learning differences. Some Davis Facilitators have separate professional qualifications and may therefore provide diagnostic assessment services; however, these would be separate from any Davis services and would be provided in their own distinct context, on a separate schedule, and with separate fees. A formal diagnosis of a learning difference is not necessary to qualify for a Davis Program. Davis Facilitators provide specific pre-program screening to help determine whether a Davis Program is likely to be suitable for the client’s learning needs and goals, and to guide the choice of program. What does a Davis program cost? Davis Facilitators are independent professionals who set their own fees. The cost of a basic Davis program may vary due to local economic conditions and cost of living, or the facilitator's level of experience or practice environment. Davis programs are always given in a one-and-one context, so the fees paid for a program guarantee that the client will have the full attention and involvement of their facilitator during a program. Is the Davis program covered by insurance? Davis is an educational approach rather than a medical treatment, and thus is not usually covered by insurance in most parts of the world. However, in some circumstances the program may qualify for reimbursement, a tax deduction, or payment from flexible medical spending programs. Davis program fees are also sometimes paid by a child's school district or by government agencies such as vocational rehabilitation. Are Davis methods supported by independent research?